Despite the Chicken Little histrionics of some Utahns — I’ve always found the state a fairly fun and functional place to grab a drink. This weekend you might want to raise glass with me — because no matter your opinion on the current state of imbibing in Utah — 96 years ago, people were about to have it much, much worse than you do right now. This coming weekend, back in 1920, congress ratified the Eighteenth Amendment with nationwide prohibition beginning January 17, 1920. With the historic date in mind, I spoke with several local distillers and bartenders and I asked them what they’d be pouring to mark the moment this weekend. James Fowler, Sugar House Distillery: One of the many great ironies of the years leading up to U.S. Prohibition was that cocktail scene right here in Utah thrived, reflecting creative coast-to-coast energy right up to the edge of the liquor preclusion precipice. Advances in distilling technology made possible better, safer and more predictable booze recipes; a good thing for local producers and consumers. Immigrants from all over the world brought their challenging and witty precedents to barstools everywhere. And in this heady atmosphere the Tipperary cocktail was born. 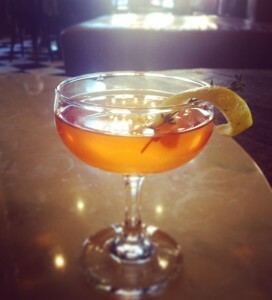 Most booze historians believe this cross-cultural combination of Irish whiskey, French green Chartreuse, and sweet vermouth was inspired by the WWI lyric, ‘It’s a Long Way to Tipperary,’ a 1912 Irish soldier’s homesick lament manifested in cocktail format on both sides of the Big Pond. Booze journals through the next decade noted various interpretations of this bevvy as a Gaelic spin on the trusty American Manhattan. 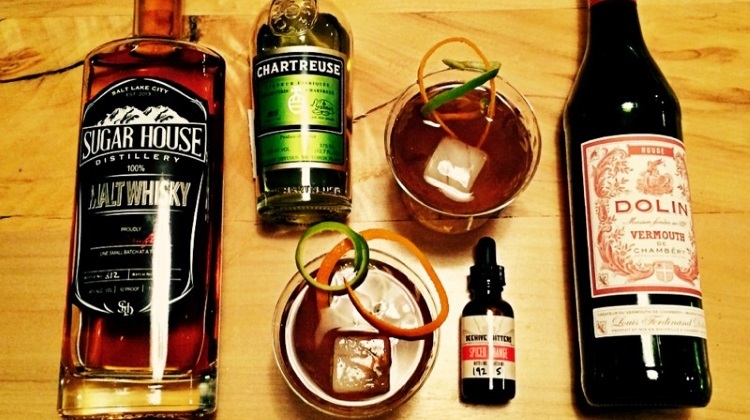 Here’s our distinctively and regionally sourced Utah Malt Whisky forward twist to this brink-of-Prohibition classic, as made by local booze blogger Darby Doyle (aBourbonGal.com). Although we’d probably drink our locally sourced grain-to-glass whiskies straight up and to the brim in a Glencairn glass if we were found facing the teetotalist’s ire–perhaps as with one particular finger raised in salute–this cocktail stands as one of our classic and easy go-to drinks in the current era. Natalie Hamilton of Finca using Vida Tequila: “My ideas for this cocktail were very much inspired by Vida Tequila. What came to me as a surprise was the lack of tequila in most American cocktails and recipes prior to prohibition. The cocktail movement was very much still centered around gin and whiskeys, vermouths and spirits that were still being imported from Europe or were beginning to be made in America. During prohibition, these products were no longer available to buy, which resulted in bootlegging, moonshiners, breweries and distillers operating beneath the law, and smuggling tequila from Mexico across the border. This dramatically changed the way we use tequila and its popularity in the United States today. Tequila was simply a spirit that was easier to get a hold of. 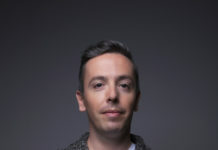 Aaron Ilott, Salt City Vodka: “Personally, we can’t imagine a world without the freedom to enjoy the social lubricant and inspiration-inducing delight that is vodka. Though we often create and post elaborate cocktails, we choose to honor the Prohibition era with the classic vodka martini. 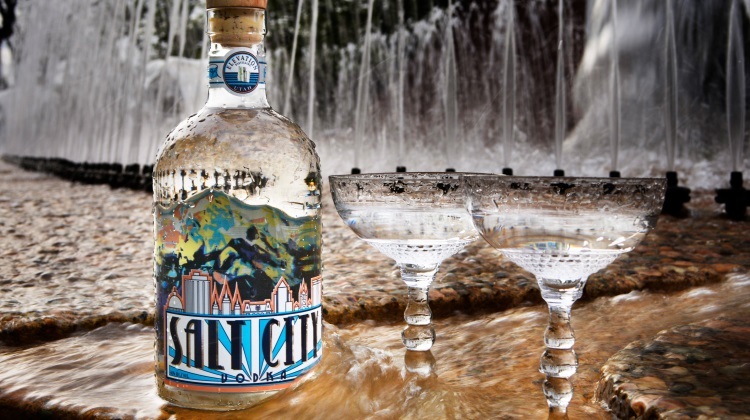 Its simple elegance requires a smooth texture and clean finish, which served as the basis of countless experiments to find what is now Salt City Vodka. Stirred vigorously, not shaken. Garnished with a long lemon twist or three olives. Kirk Sedgwick, Outlaw Distillery: “What will we be pouring for the 16th? One of favorites of course, bourbon whiskey – neat. We can’t think of a better way to raise our glass to the post-prohibition nod. Here at Outlaw Distillery, we are proud to be part of the handcrafted spirit revival; from grain and molasses to the final product resting in your glass, we have poured our love of fine whiskey and rum into our bottles. 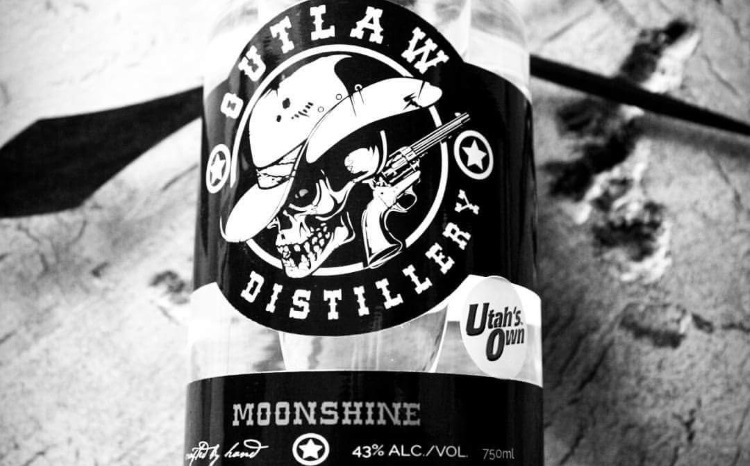 There is a bit of the Outlaw spirit in all of us and our goal is to pass on a bit of the old Wild West in our products. If you do pour something special this weekend, might I also suggest a toast to Utah as well — the state whose vote actually ended Prohibition in 1933. Skol!